Dr. Abiy Ahmed Ali should resign from power right away because he is not fit to lead Ethiopia. In less than six months Prime Minister Abiy Ahmed turned Ethiopia to a failed state. All mega projects like the GERD are stopped since he came to power. Ethiopia is in danger of disintegration more than any time in its history because the prime minister lacks strategic thinking and he is working for foreign powers not for the Ethiopian people. Abiy Ahmed is not an honest leader he is hiding his true intentions for the country. He is secretly working with Gedu Andargachew and Demeke Mekonnen to destroy the federal system, and bring back the imperial system back to Ethiopia. 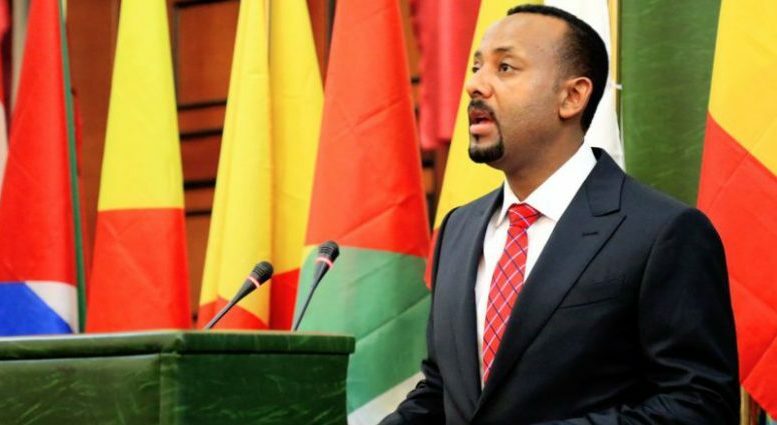 Prime Minister Abiy Ahmed is showing signs of becoming the worst dictator ever seen in Ethiopia. The recent ugly events around and inside Addis Ababa are most likely the works of his team as a precursor for declaring state of emergency and eventually establish a military rule. Basic law and order nonexistence, people’s lives are in danger throughout Ethiopia. Millions are displaced and thousands are killed in the past few months. Then the question the Ethiopian people should ask is, what did the previous prime minister did worst than the current now, is life in Ethiopia better than it was about five months ago? What is the fate of Ethiopia if it continues like this? We all remember what the Egyptian government officials said when their closed meeting was aired on live TV by accident a few years back. We think the time has come for Prime Minister Abiy Ahmed Ali to make the most responsible decision and resign from power.